When exactly is it the right time to start panicking when your NHL team isn’t playing up to par? Well, there’s no concrete answer for that, but in most cases the fans start to worry before team management or ownership does. Let’s look at this year’s version of the Pittsburgh Penguins for example. This is a club which more or less has been on fire over the past few years with back-to-back Stanley Cup wins in 2016 and 2017, but has been under performing so far this season. 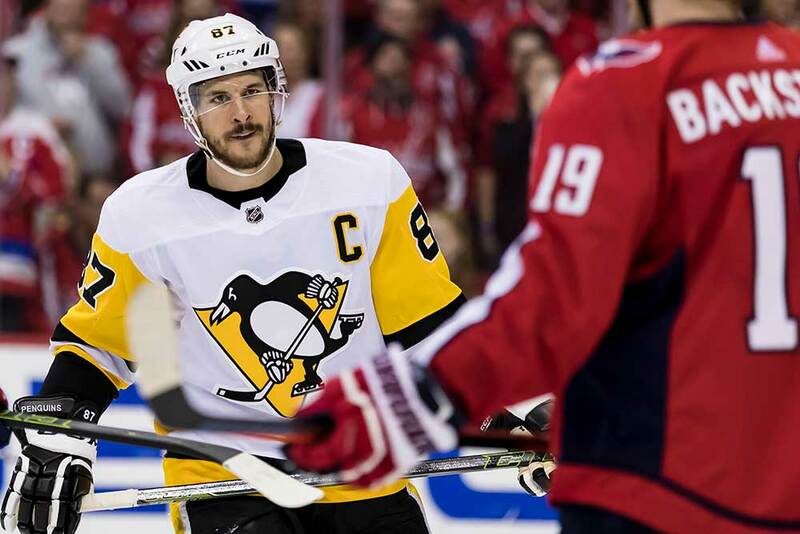 After 17 games they stood at 7-7-3 for 17 points, sat in last place in the Metropolitan Division and were expecting to be without injured captain Sidney Crosby for a week. It may not sound that bad, but in today’s era of parity there was just one one side below them in the league standings. It doesn’t appear Mario Lemieux and the other bigwigs are fretting though as general manager Jim Rutherford was just offered a three-year contract extension. And since he still has all his marbles, he promptly signed on the dotted line as quickly as possible. With a fresh new deal on the books until the end of 2021/22, perhaps Rutherford thought he should do something to justify his ongoing employment with the franchise. After some heavy thinking the GM suddenly shipped speedy Carl Hagelin out of the Steel City all the way to the Los Angeles Kings on the west coast for fellow forward Tanner Pearson. It’s obvious Rutherford wanted to shake his squad up and let the players know they’ve become too complacent, but it’s unclear how much Pearson will help the team. At the time of the trade the 26-year-old had gone goalless in the first 17 games of the season and had a total of one assist. The 6-foot-1, 201 lb native of Kitchener, Ontario was drafted 30th overall in 2012 and has been snake-bitten around the net, but does possess a decent pair of hands. He had 144 points in 325 games in LA with seasons of 12, 15, 24 and 15 goals. His best showing came in 2016/17 when he complemented his two dozen goals with 20 assists for 44 points. Last year wasn’t too bad either at 40 points and he’s making $3.75 million against the salary cap this year and is under contract until the end of 2020/2021. Pearson also chipped in with 15 points in 34 playoff games with the Kings and helped them win the Stanley Cup in 2013/14 with 12 points in 24 postseason outings as a 21-year-old. On the flip side, the 30-year-old Hagelin was drafted 168th by the New York Rangers in 2007. He made his NHL debut in 2011, spent four years in Manhattan and has also had a stint with the Anaheim Ducks. He played 195 games with the Pens and posted 27 goals and 56 assists. He also helped the team win a pair of Stanley Cups with 10 goals and 11 helpers in 48 playoff contests. But like many of his teammates, he was struggling in Pittsburgh this season with a goal and two assists in 16 games. Hagelin of Sweden is also making $3.75 million against the salary cap this year, the same as Pearson, but he’s scheduled to become an unrestricted free agent next July. On the surface it looks like a pretty good deal for Rutherford. Pearson is four years younger than Hagelin, has been more productive in the past few seasons and has also been a contributor in the playoffs with championship ring to show for it. Now the Penguins are just hoping Pearson can kick start his season in his new surroundings and fit in with his teammates. The trade did surprise most of the Pens’ players though as Hagelin was well liked and an integral part of their recent Stanley Cup-winning squads. Rutherford is hoping some of his players will get the message and now pull up their socks as he won’t be afraid to send more players packing if they don’t. But overall, the Penguins have been pretty competitive this year with 56 goals for and 55 against. Two of their seven regulation-time losses were by one goal with two of them being by two. They are without defenseman Justin Schultz for most of the season due to a broken leg were lost center Derick Brassard for nine games as well. Brassard had five points in eight games this season after posting eight points in 14 outings last year following his late-season trade from Ottawa. Schultz’s absence will also be felt as he’s a fine offensive blue liner who had four points in four games this year and has totaled 90 points in 163 career games with Pittsburgh. There’s not really any sense in pointing fingers at the Penguins players as all of them have basically been underachieving to start the season, regardless of their individual point totals. The main problem with Pittsburgh this year is the fact the team has been playing average hockey even though they have above average players. The Penguins are basically at the league average as a club when it comes to goals for, goals against, power-play goals for and against, penalty-killing and save percentage. The only area the squad was considerably above league average was on the power-play where they’ve been clicking at 25.49 percent and the rest of the NHL was averaging 20.35 percent. The Penguins have too many star players to remain in the basement of their division for an extended period of time, but they better hope Crosby’s injury is just a minor one. If their star player isn’t back soon though you may then see club management and ownership start to panic. But since it’s just mid-November and Pittsburgh is within a few points of a playoff spot I’d be surprised if any more major moves are made until at least the new year.